(i) Empirical and molecular formula. (ii) Molecular wt. and vapour density. (a) In any period, the alkali metal has lowest ionization energy. (b) van der Waals' radii are always larger than covalent radii. 13. (a) Write an expression to calculate angular momentum of an electron ? (b) An electron has s = + � and m = -1, it cannot be present in which of the orbitals and why ? What will happen to the temperature of the system if some Cl2 into it at constant volume ? Give reason. (a) Alkali metals are used in photoelectric cells. (i) B��X bond length in BX3 is shorter than theoretically expected values. (ii) BCl3 has a higher stability than TlCl3. (ii) A gaseous mixture contains 56 g of N2, 44 g of CO2 and 16 g of CH4. The total pressure of the mixture is 720 mm Hg. What is the partial pressure of CH4 ? (a) Isotope effect. (b) Anion Exchange resins. (b) Alkali and alkaline earth metals cannot be obtained by chemical reduction method. Comment. (c) Write chemical equation showing the conversion of gypsum to P.O.P. (b) Write the chemical equation corresponding to the slaking of lime. (c) Why an aqueous solution of Na2CO3 is alkaline ? (i) Bond length follows the order : C�C > C?C > C?C for di carbon species . (ii) pi-bond is always formed in association with sigma-bond. 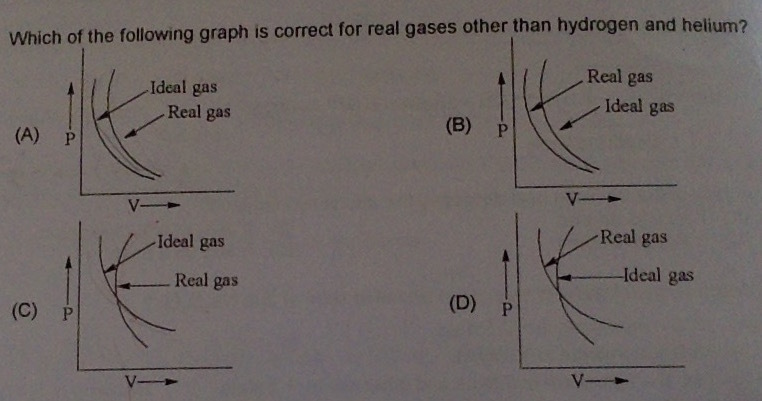 (b) Use MOT to explain why N2+ is less stable than N2 and O2+ is more stable than O2. (i) Free rotation around a ?-bond is not possible. (ii) Predict the type of hybridization and shape of IF7 molecule. 393.5 and 395.4 KJ mol-1 respectively. (c) Define Gibb's free energy. (a) Derive the expression Cp - Cv = R. Symbols having usual meaning. 30. (a) With the help of relevant chemical equations, state what is borax bead test ? What type of cations are tested by this test ? (b) Comment : 5 (i) ) PbCl2 is ionic but PbCl4 is covalent. (ii) No form of elemental silicon is comparable to graphite ? (i) CCl4 is not hydrolyzed by water but SiCl4 is easily hydrolyzed. (ii) SnCl2 is ionic whereas SnCl4 is covalent.